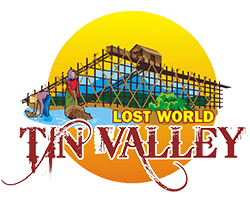 Lost World Tin Valley aims to educate today’s generation in the rich heritage of tin mining in Ipoh. 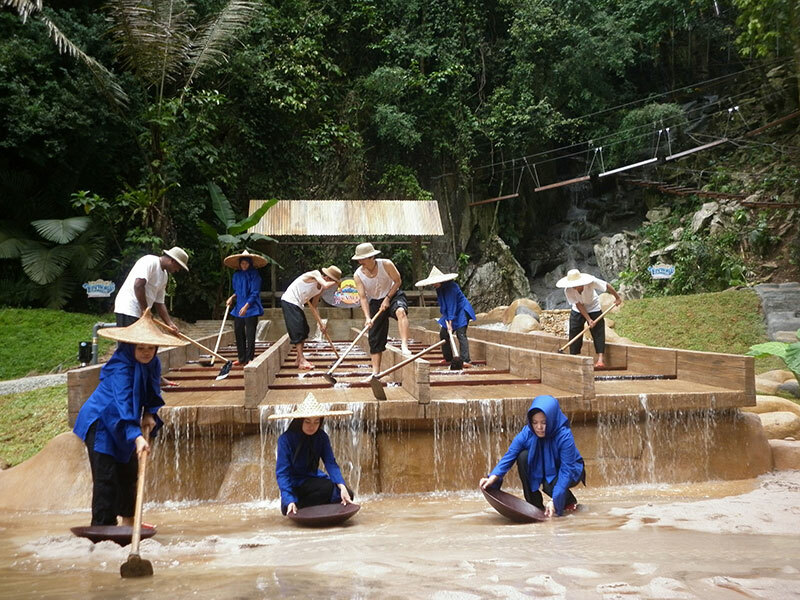 Hence the latest attraction in the form of a Tin Mining area which is equipped with a life-sized palung (sluice box), an original gravel pump monitor and a large area for young visitors to experience “Dulang Washing”(Tin Ore Panning) just like the good old days. 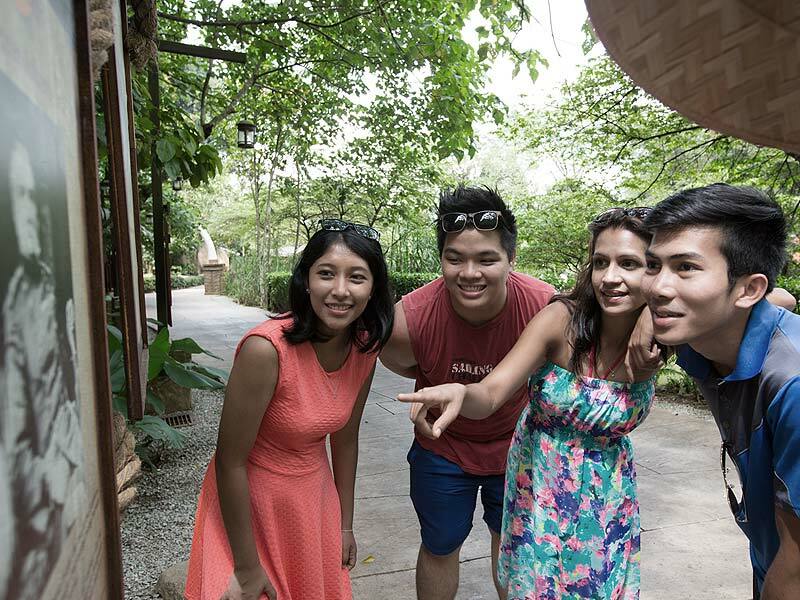 Visitors can also learn about the history of tin mining and see real artifacts from the past at our Galleria. We also have educational boards, explaining the art of tin mining right down to interesting facts on tin and how it has become such an important commodity in international trade used in hundreds of industrial processes throughout the world. Walk in the footsteps of Tin. Learn how tin is mined, from its first form to tin that can be sold. A majority of the artifacts displayed in our Galeria loaned by Ipod World Sdn. Bhd. is a project by the Tenby Schools in Ipoh. The dulang was used to scoop up the earth, mixed with water and by careful swirling of the water, the mud was swept away and the heavier tin ore remained. Kids will have the opportunity to experience ‘dulang washing’— the art of using a dulang to extract tin from the earth and sand. Elephants were the only mode of transporting the heavy tin ore to the nearest depot. 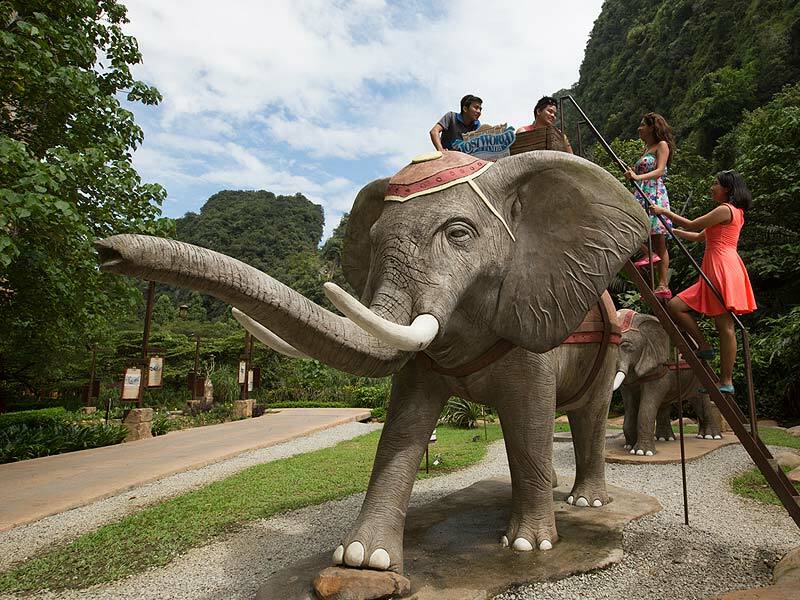 Tin Valley has recreated life-sized stone elephants so visitors will have the opportunity to climb onto its back to enjoy a birds eye view of the Lost World Tin Valley. This would make an excellent photo opportunity. 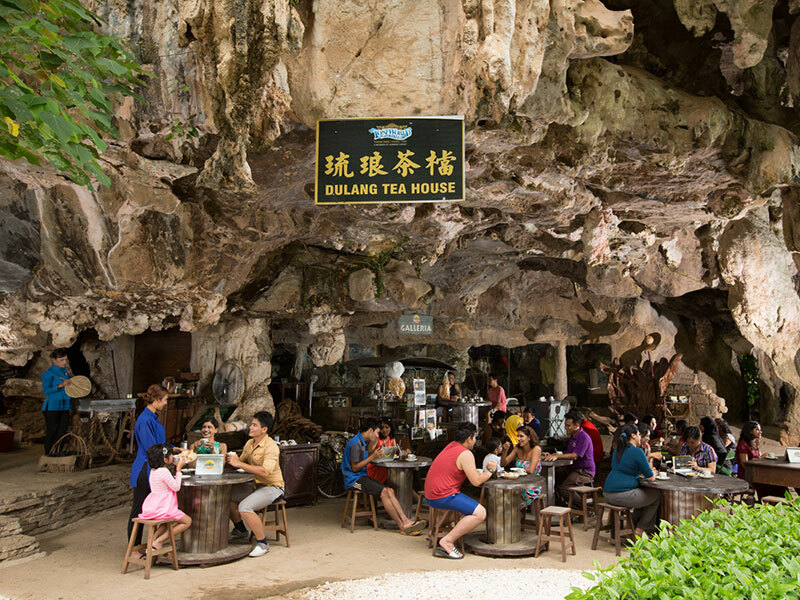 Open for tea, Dulang Tea House serves some of the most delectable local favourites that tin workers in days of old used to enjoy. There’s locally roasted coffee, toasted bread with half boiled eggs and other savoury treats. Stop by and enjoy these delights if you’re visiting during tea time!